Hurricane Katrina evacuees at Los Angeles shelter. 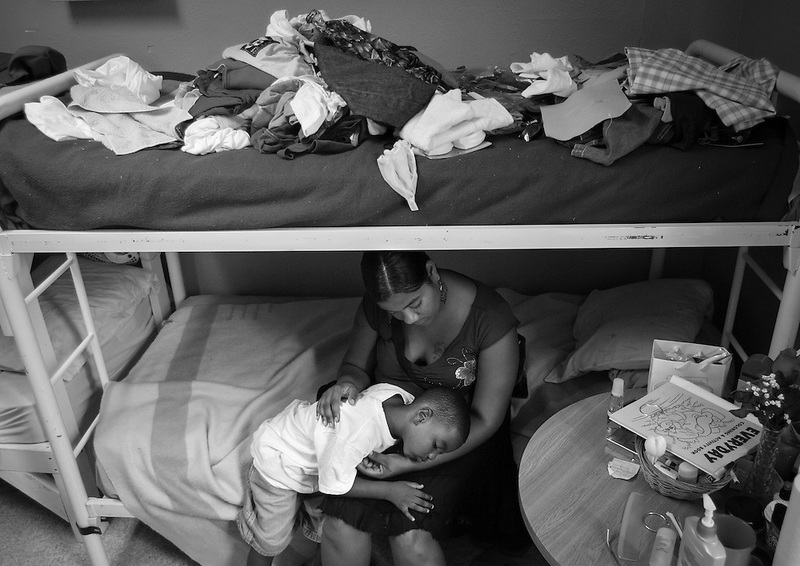 LOS ANGELES, CA - September 9, 2005: Allison Caesh and her son Randy, 4, spend time in their room crowded with donated items at the Dream Center, a shelter for Hurricane Katrina evacuees in Los Angeles, California on September 9, 2005. (Photo by Todd Bigelow/Aurora)..